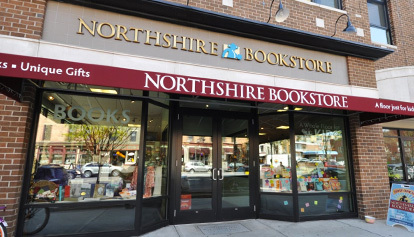 The Northshire Bookstore Book Angel program is the 25 year old tradition of ensuring children in neighboring communities receive the gift of a new book during the holidays, children who might otherwise not own a book or have books available to them. Many of our customers have made this a yearly tradition of their own, coming into the store to choose books or to make a monetary donation to this much loved program. We partner with local schools to identify children who would benefit from this program. The first names, ages, and interests of children are put on our Book Angel Trees. During the holiday season, customers are invited to pick a book angel tag from the tree and donate for a specific child or children. Our Children’s Booksellers are here to lend their expertise to fulfill requests. One can also make a monetary donation in the bookstore or online. 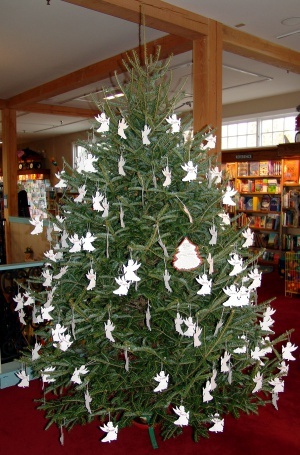 Book Angel trees are put up in both of our locations, Manchester Center, Vermont and Saratoga Springs, New York during the holidays. 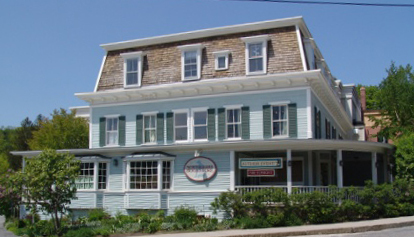 Donations are accepted year-round, in our bookstore and online. We guarantee that every child of the hundreds on our lists will receive at least one new book, wrapped and delivered to the schools before the holidays. Thank you to everyone who helps this program bring books to children every year: schools, teachers, booksellers, and our generous customers.